NetSuite Scripting, Web Services, Suitelet applications, html for Website and Web Stores in NetSuite. NetSuite development can add a lot of value to your business. We have Melbourne based NetSuite Developers working with our NetSuite CPA or CA qualified consultants to ensure you get the right solution. 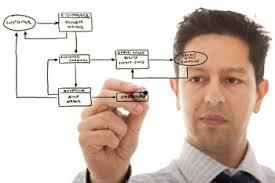 This includes NetSuite Scripting, Web Services, Suitelet applications, html for Website and Web Stores in NetSuite. User Event scripts are useful for customizing the workflow and association between your NetSuite entry forms. These scripts can also be used for doing additional processing before records are entered or for validating entries based on other data in the system. Client scripts are SuiteScripts executed in the browser. They can run on most standard records, custom record types, and custom NetSuite pages (for example, Suitelets). Scheduled scripts are executed on-demand in real-time or via a user-configurable schedule. Scheduled scripts are useful for batch processing of records. Suitelets enable the creation of dynamic web content. Suitelets can be used to implement custom front and backends. Client scripts are executed on the client. These scripts can be attached to and run on individual forms, or they can be deployed globally and executed on entity and transaction record types. Portlets provide direct access to data, allowing you to view, edit, or add records efficiently. Workflow action scripts allow you to create custom actions that are defined on a record in a workflow. A customization bundle is a group of custom objects that implement customized behavior in the NetSuite application. CSV import is the most commonly used method for transferring small to medium-sized data sets from other applications into NetSuite.